Some big drama as Sam Reynolds and Grett Watts ended up in a tie in the semi-final round. 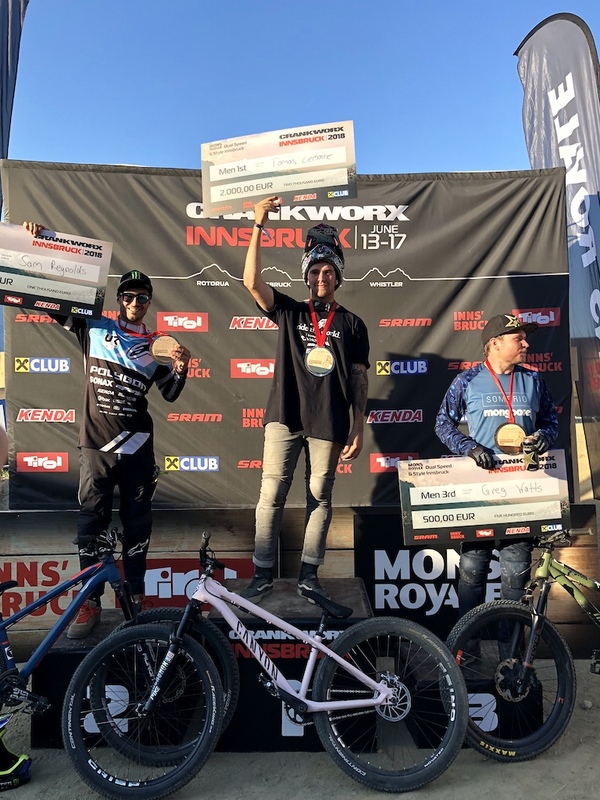 Initially it looked like Greg would get the nod, but headed into finals a last-minute rule book investigation determined that reigning champion Tomas Lemoine would face Sam Reynolds instead. In the subsequent race for the bronze between Tom Steenbergen and Greg Watts, Tom missed a gate in both runs, with Greg taking a well-deserved bronze. Top qualifier Tomas Lemoine took away gold, making it his second gold medal here in Innsbruck. He was tailed close behind by silver medalist Sam Reynolds. Can Lemoine do it again tomorrow in Slopestyle? Tune in to find out. He apparently forgot which way to look on a podium in his hiatus ???? Good to see the old watts still killing it!! When Europe uses , instead of . had me thinking "They're set for life!" hahaha. Didnt watch it, whats the rule? Totally agree with you. Why can't they just do a tie breaker run? That's the fairest way. Greg Watts could've had the chance to battle for gold. Not that I'm not stoked for Reynolds. I'm rooting for both of them but I am sure both parties would have been happier with another run. I'm so sick of everyone calling 720's cashrolls! Chea!!! STOKED to see Watts name up there!